Overall, we see it’s a quick run to the divisional final, with fully half of the division’s decks making it to that final clash that will determine who will represent them all in the Conference Final. In alphabetical order, here are today’s contenders! Detail: Another Esper hybrid, this deck fuses with the dark side of Grixis. Can etherium artifacts be the missing key the undead hordes of Grixis needs to overtake the competition? Got your snacks heated up? Great, the games are about to begin! Schemes falters out of the gate, mulling down to 5 before finding an acceptable keep. A couple of Parasitic Strix struggle to see play working around some hefty bounces and countermagic such as Counterspell, Condescend, Repulse, and the mighty Aethersnipe. The best threat Schemes lands is a Nemesis of Reason, but even it gets bounced. Meanwhile, a Waterspout Djinn and a Man-o’-War make quick work of their opponent’s struggling board. Mulling down to 6, Jace never really gets established as he is pecked to death in the air by a pair of Tidehollow Strixes. The Nemesis of Reason hits twice but for no real damage. Jace is stalled with an unmorphed Brine Elemental, but just can’t mount much of a defense and Unnatural Schemes walks this one. Schemes gets a lot of its defensive tricks out to stall the board a bit- Deny Reality, Nantuko Shade, Agony Warp, the Strix- but this game is commandingly Jace’s to win. Both the Lich Lord of Unx and the Nemesis of Reason get countered early, then Jace’s card advantages supercharges him past his opponent. Fact or Fiction, Ancestral Vision, and Mulldrifter keep his hand full, and soon he owns the skies as well. A Quicksilver Dragon sacrifices itself to kill the Strix, and is replaced by an Air Elemental with an Errant Ephemeron in the on-deck circle. The MVP is a Spire Golem which got in for a series of hits, being too small to trade the Strix for but too big to ignore. Legion is in a tough spot early- despite a quick Esper Cormorants followed by a Glassdust Hulk, Bant’s Giltspire Avenger makes it entirely unprofitable to attack. Meanwhile, Bant builds up with a Rhox Meditant attacking every round buoyed by exalted on the Avenger, a Rhox Bodyguard, and an eventual Aven Squire. Legion is not without some fight- it Pacifies a turn-3 Rhox War Monk and solves the Avenger when it cascades off of Stormcaller’s Boon into a Whispersilk Cloak. The Cloak is equipped to the Hulk, which storms in turn after turn. It’s a race, but one that Legion wins when it Pacifies Bant’s only aerial defender and swings for lethal in the skies with an Aven Mimeomancer, Ethercaste Knight, the Hulk and the Cormorants, all flying thanks to the Stormcaller’s Boon. Legion mulls to 6 with a dreadful keep- 5 lands and a Filigree Angel, but Bant doesn’t press full advantage. A turn-1 Suntail Hawk gets in some quick beats, along with the trailing Rhox Meditant and Aerie Mystics, but Legion erects a Wall of Denial and staunches the damage flow. Gwafa Hazid, Profiteer makes a quick cameo, getting blasted with a Path to Exile after his first bribery. A Glassdust Hulk, Aven Mimeomancer, and Ethercaste Knight appear in short order. The Filigree Angel comes in for 6 life when it is summoned to the battlefield, though it immediately draws a Pacifism. Still, Bant can’t seem to circumvent Legion’s defenses while it keeps summoning artifacts to punch in unblockably with the Hulk. A final backbreaking play is when Legion uses Offering to Asha to counter Asha’s Favor and keep Bant out of the skies. Legion stumbles early, mulling down to 5 this time, but at last manages a Wall of Denial. Still, Jace does not stand idly by, instead deploying a morphed Voidmage Apprentice, Mulldrifter, morphed Fathom Seer, and a Spire Golem. With a fistful of countermagic, Legion sees would-be defender after would-be defender go straight to the graveyard as Jace takes on an aggro-control stance. Jace grinds out a simple win and ends with 20 life. An epic, drawn-out throwdown between two buildup decks! Both get off to solid, ealry starts- Jace with a Spire Golem and Jace Beleren; Legion with twin Ethercaste Knights. 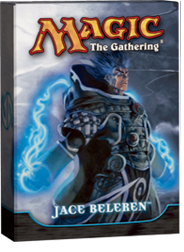 The Golem draws two Pacifisms as Legion tries to batter down the planeswalker, but each time Jace is there with a Man-o’-War to spring the Golem out of jail. Guile makes an appearance, but is blown off the board with a Path to Exile. Both sides continue to build up, but no attack is profitable- it’s a stalemate. Then Legion lands the Stormcaller’s Boon (cascading into an Aven Mimeomancer). The Boon gets popped the next turn and Jace takes a drubbing, down to less than half life. With many of his creatures defensive in nature (two Walls of Deceit being the most obvious example), Jace can’t counterstrike without leaving himself open for defeat, and looks to circle the wagons. The irritating Mimeomancer gets solved with a Fledgling Mawcor clearing the way for the Quicksilver Dragon kept on reserve in Jace’s hand. 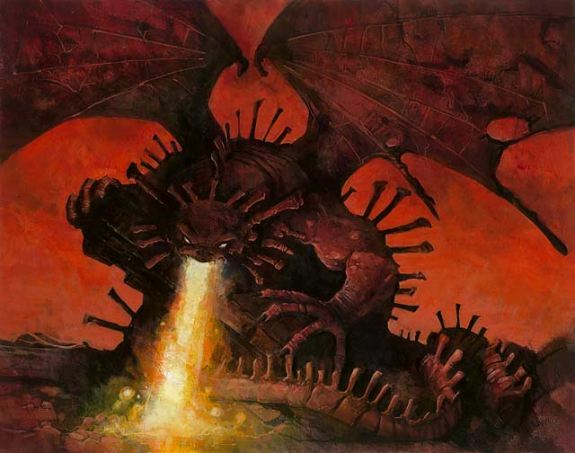 A pair of Mulldrifters refill his hand, and a Spire Golem lands for more power in the air. Still, all it would take for Legion to win is to play a single artifact, pumping up its Glassdust Hulk and making it unblockable for the kill. Fortunately, Jace’s counters start to emerge from the library, and artifact after artifact gets Counterspelled and Condescended, and when one finally does get through the Hulk is Repulsed. 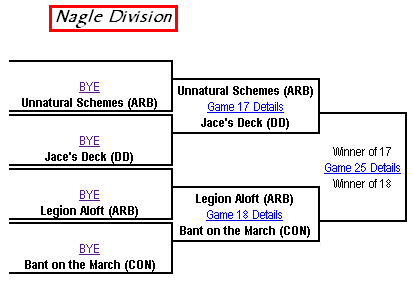 Jace finally grinds down Legion in the air, and takes the divisional title! Your 2008-09 Nagle Division Winner! 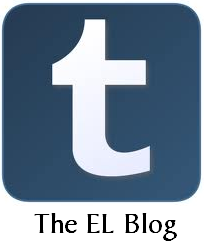 ← New Magic Beyond the Box Up… and Another Giveaway! Jace is probably the strongest deck in the division, so this isn’t much of a surprise. If I had known more about Legions, I would have definitely voted for it over Bant. But I didn’t want to do too much homework and give myself an unfair advantage. I was right about the Jace deck though! I think everyone was. Poor Bant. We’ll get them next time! I own Jace vs Chandra decks and Jace’s really powerful just out of the box, so i’m not surprised it won. On the other side, i wouldn’t expect Bant to lose against Legion, i thought it was pretty solid. Both looked good, but Legion has an Air Force. Then it has Wall of Denial and a few others like Hulk. Really not surprised it won. I was 50/50 and put my money on pure Bant. March isn’t a bad deck, but exalted is tricky and lack of flyer/reach creatures. Exalted is just… I’m looking forward to see how the 3rd Bant deck does. If I recall right, I have a lot more faith in it. The Jace Duel deck is going to overpower set released precons pretty easily. The quality and quantity of rares is higher for a Duel Deck. Also Duel decks get to pull from any card in Magic while set precons use what is currently legal in standard (unless i’m remembering wrong). Seems like Jace brought a Bazooka to a slap fight.